What Problems Occur if Concrete Has Too Low a Slump? Slump is an indication of the ratio of water to cement in your concrete. The correct ratio of water and cement depends on the intended use of the concrete. Concrete mixtures with a low slump have a higher proportion of cement than concrete with a high slump. There are several methods used to measure slump that provide different levels of information about the physical properties of uncured concrete. Concrete slump directly affects how difficult it is to work. The most basic slump measurement technique is designed to measure the consistency of concrete mixtures. Concrete is compacted into a metal cone measuring 1 foot in height with an 8 inch hole at the bottom and a 4 inch opening in the top of the cone. The metal cone is then lifted up and over the concrete leaving it in place for a set period of time. The amount of height that the concrete loses as it slumps towards the ground is measured using the cone as a reference. The difference between the height of the concrete and the cone in inches is the slump. Creating concrete with a low slump makes it more difficult to work. Low slump concrete requires more effort to spread and is not suitable for some applications. This can prevent your concrete from consolidating properly after it is poured. Typically, air bubbles introduced to your concrete during the mixing process are removed during the consolidation process using vibration or compaction. Low slump concrete is thicker and more difficult to consolidate and can leave trapped pockets of air in your concrete that can decrease its ability to withstand compression. Concrete with a low slump has a high proportion of cement to water that makes it difficult to work with but provides it with greater strength. Each inch of slump that you add to your concrete mixture will decrease the effort required to work it. 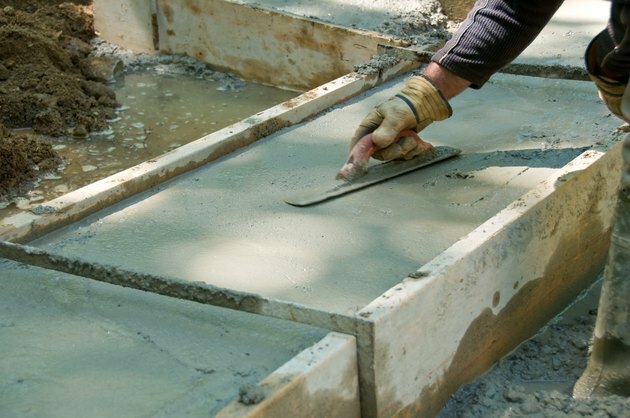 Before you begin mixing your concrete, determine how much slump you can add to your concrete to improve its workability without comprising the structural strength of your project. Adding water to your concerete mixture decreases the thickness of the mixture and increase the slump. Since slump is dependant on the ratio of water and cement, the exact amount of water needed to increase slump depends on the amount of cement and aggregate already in the mixture.